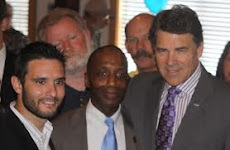 In 2013, Texas Attorney General candidate Barry Smitherman REJECTED a budget increase for his personal government office while candidates Ken Paxton and Dan Branch APPROVED budget increases for their personal government offices. Families in Texas are having to tighten their belts. Gas is not going down, health care expenses are skyrocketing, appraisals and local taxes are rising. Texans have to be more conservative and cannot just vote to give ourselves more money for our household. We expect the government to tighten its belt too. Texas Railroad Chairman Barry Smitherman made a bold move this year. Smitherman rejected tens of thousands of dollars in budget increases for his personal office, even though the other railroad commissioners voted for the increases. Over in the Texas House of Representative, Dan Branch voted to INCREASE the budget for his personal office. On the Texas State Senate side of the Capitol, Ken Paxton also voted to INCREASE the budget for his personal office. Barry Smitherman is the clear winner this round. The Texas Attorney General Race is a tale of 3 candidates. For conservatives though, it is only a tale of two candidates. Conservatives in Texas do not like or want Dan Branch. 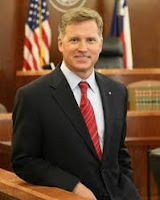 Dan Branch is a Joe Straus Lieutenant and a moderate on many important issues. So Conservatives have Barry Smitherman and Ken Paxton to choose from for Texas Attorney General. Barry Smitherman is a good Christian conservative. I am not going to lie and say that Paxton is not a good either, because he is. So you have two good conservatives in Smitherman and Paxton. Well guess what, only one of them can win and I believe the best conservative for the job is Barry Smitherman. So, without attacking Paxton, I have to show that Smitherman is the better conservative for the job. Besides Smitherman already being a statewide leader who has experience suing Obama, this personal budget vote is a great example of why Smitherman is the better conservative leader to be our next Attorney General. The vote to increase personal budgets is a vote that usually goes unnoticed. No one will likely know or be watching to see if the legislators or other elected officials votes to increase their office budgets. Well, I think it is best to do the right thing even when no one is looking. While no one was looking, Smitherman voted to reject an increase for his personal office while Paxton and Branch voted to increase theirs. Smitherman's Texas Railroad Commission vote on to reject a Personal Office Budget Increase can be found here at the end of the RRC Conference open meeting minutes. If Barry Smitherman sued the federal government, wouldn't his name be on the law suits that were actually filed by Greg Abbott?